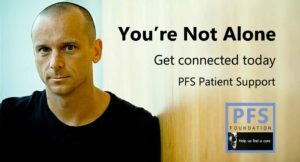 SOMERSET, N.J., Sept. 21, 2016 – The Post-Finasteride Syndrome Foundation has launched a program to connect PFS patients with one another for mutual support. 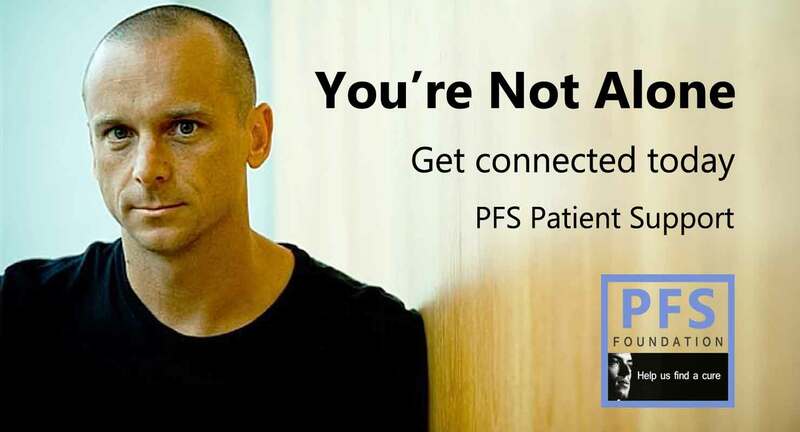 Any PFS patient or family member of a PFS patient who would like to participate should download the PFS Patient Support form, complete it and email it back to social@pfsfoundation.org. Due to the urgency of many such requests, the foundation strives to respond to each one within two days. “One of the tragic hallmarks of PFS is that patients’ health care providers and/or loved ones often don’t believe the condition exists. And even when they do become aware, they have no idea how to help,” said PFS Foundation CEO Dr. John Santmann. “Over the past year, however, we’ve informally connected hundreds of PFS patients around the globe, most all of whom have let us know how beneficial it’s been to share coping strategies, nutritional tips, exercise regimines and so on,” added Dr. Santmann. The foundation can also connect family members of PFS patients who have taken their own lives with other family members dealing with the same tragedy. Anyone interested in participating should download the PFS Suicide Support form, complete it and email it back to social@pfsfoundation.org. Headquartered in Somerset N.J., the Post-Finasteride Syndrome Foundation was established in July 2012 as a 501(c)(3) organization, with private grants from families in the U.S. and abroad. Tax-deductible financial donations to the nonprofit organization can be made via PFSFoundation.org, which also houses patient-recruitment information on active clinical studies, published research, research goals, and media reports about PFS. In July 2015, the PFS Foundation partnered with the Southwest Brain Bank in the Department of Psychiatry at the Texas Tech University El Paso. The mission of the brain bank is to function as a donation site for post-mortem human brain and spinal cord tissue of PFS patients, and study that matter to better understand the pathology and etiology of the condition.